This hut is not marked on the map. It is on a part of the old North-South track that is no longer maintained. DOC have marked it for removal but the local branch of NZDA have made some improvements to it so the hut remains in the meantime. 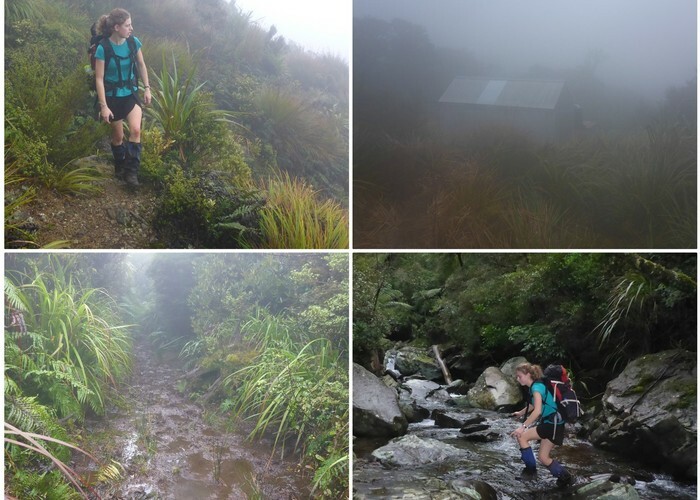 Excursion to Kauritatahi Hut • By Briar. Licence: C.
From the top of Thompsons Track go south along the North South Track until you reach a junction, marked by a sign, that indicates the old Track. Continue along the old track, which has recently been recut and is well marked until you reach the hut. Added 21 September 2008 by pmckepmcke. 2 revisions, most recently 14 August 2017 by BriarBriar. 452 views in the past year (38 per month).